Counting down the 11 1 day to the 50th anniversary, here are my top 11 stories for each Doctor, continuing with 1 (William Hartnell). That is the dematerializing control, and that, over yonder, is the horizontal hold. Up there is the scanner; those are the doors; that is a chair with a panda on it. Sheer poetry, dear boy! Now please stop bothering me. The Doctor, Vicki, and new companion Steven arrive on the coast of England on the eve of the Viking and Norman invasions in 1066. 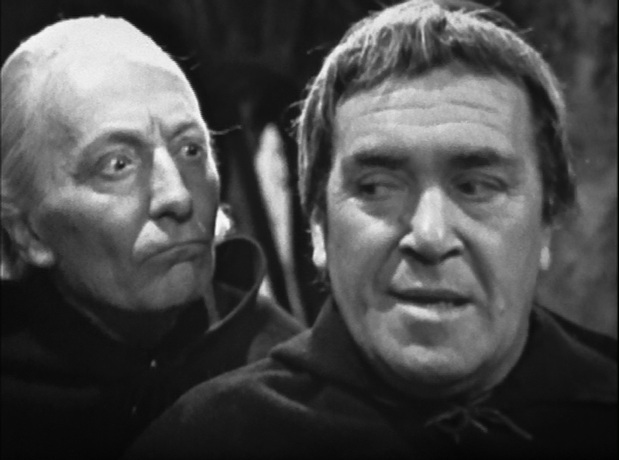 They find a mysterious monk who turns out to be another Time Lord, meddling in the affairs of the local people and hoping to change the course of history. During all the years I’ve been taking care of you, you in return have been taking care of me. You are still my grandchild and always will be. But now, you’re a woman too. I want you to belong somewhere, to have roots of your own. With David you will be able to find those roots and live normally like any woman should do. Believe me, my dear, your future lies with David and not with a silly old buffer like me. One day, I shall come back. Yes, I shall come back. Until then, there must be no regrets, no tears, no anxieties. Just go forward in all your beliefs and prove to me that I am not mistaken in mine. Goodbye, Susan. Goodbye, my dear. The TARDIS makes it back to London, but it is the 22nd century. Dead bodies are floating in the river, and humans are scattered and live like rats in sewer tunnels. 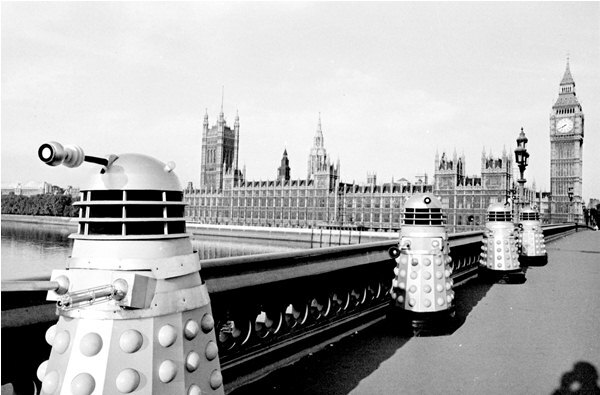 The Daleks have invaded and enslaved humans as robo-men. The Doctor, Susan, Ian and Barbara must fight the invasion and save the Earth. I made some cocoa and got engaged. The TARDIS lands in Mexico during the time of the Aztecs, and Barbara is mistaken for a god. But can a god change history? Barbara, the history teacher, knows the savage brutality of Aztec human sacrifice and is determined to change it, just as the Doctor is determined that history must be preserved. 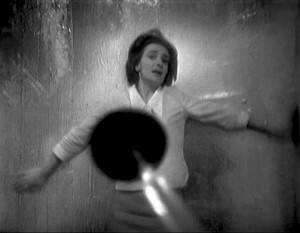 The first episode of the first serial of Doctor Who is amazing. It sets up the entire story for the next 50 years. Everything is there right from the start: the bigger-on-the-inside TARDIS disguised as a police box, the fact that the TARDIS is alive, and the mysterious figure of the Doctor–the alien on the run from his people. While on Earth in 1963, the Doctor and his granddaughter are hiding in I.M. Foreman’s junkyard at 76 Totter’s Lane. Susan has decided to attend the Coal Hill School, taking the name Susan Foreman. 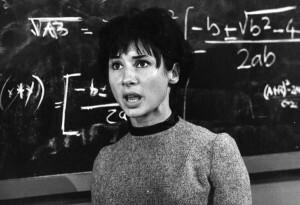 At school, two of her teachers–Ian Chesterton and Barbara Wright–become suspicious of the girl who seems to be so far advanced in some areas and yet so ignorant in others. They follow her home to the junkyard and are swept up by the Doctor in the TARDIS before they can report what they’ve seen to the authorities. 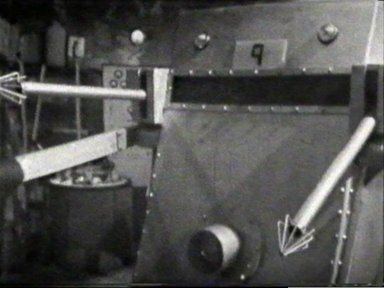 In the 2nd episode, the TARDIS gets stuck as a police box (to the dismay of the Doctor), as they land in the year 10,000 BC. Unfortunately, the rest of the serial is pretty boring (thus, it’s not #1). He gave me a gun, he extracted my tooth. What more do you want? The Doctor has a toothache. Fortunately, there’s a dentist in the town of Tombstone. His name is Doc Holliday. Too bad there’s a gang out to kill the doctor. If only they knew what he looked like. 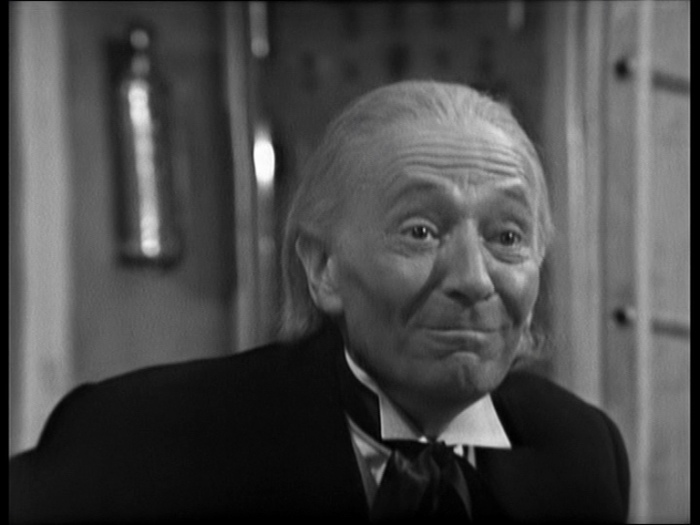 Maybe it’s this old man who calls himself “the Doctor”? Alright? Of course I’m alright, my child. You know, I am so constantly outwitting the opposition, I tend to forget the delights and satisfaction of the gentle art of fisticuffs. 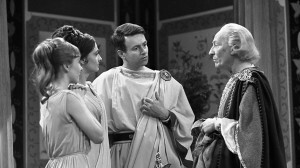 As the time travelers relax in an empty villa outside Rome, the Doctor gets bored and sets off with Vicki. On the road, he is mistaken for a great lyre player and commanded to perform before Emperor Nero. When Ian and Barbara go out looking for the pair, they are captured. Ian becomes a galley slave, and Barbara is sold to Nero’s slave buyer. Ian escapes, but winds up in the gladiator ring. When the Doctor accidentally sets fire to Nero’s plans for the rebuilding of Rome, he gives the mad emperor an idea. This is where the Doctor’s greatest enemies first appear. The TARDIS lands on Skaro, a planet devastated by war between the Kaleds and the Thals. The Kaleds have transformed themselves into killing machines called Daleks. Pretending that there is something wrong with the TARDIS so he can investigate, the Doctor leads his companions into the middle of the Dalek city. Are you seriously telling me, sir, that you have invented a machine that can think? Hmm, I wonder. 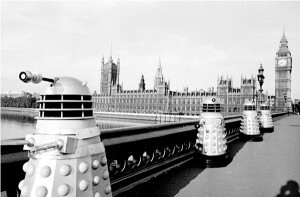 The Doctor and Dodo arrive in London in 1966 where Professor Brett has created a self-aware computer, WOTAN, which has been linked to other computers around the world. WOTAN determines that humans are inferior and must be eliminated. It forces the creation of War Machines, heavily-armed mobile computers to take over the world. 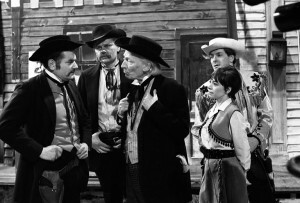 Professor Brett’s secretary, Polly, and her friend Ben join the Doctor to help defeat the menace. 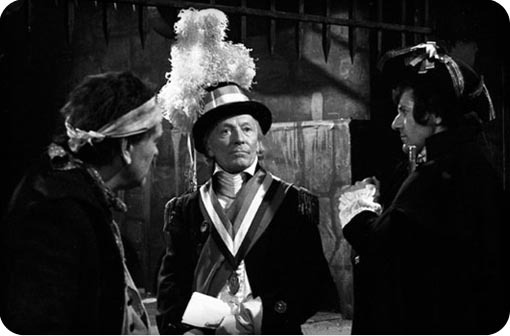 The TARDIS lands outside Paris in 1794, a bloody year in the period after the French Revolution. They soon become tangled in the plans for prisoners to escape the guillotine and with an English spy. I don’t believe that man was made to be controlled by machines. Machines can make laws, but they can not preserve justice. Only human beings can do that. This old body of mine is wearing a bit thin. This is the final episode for William Hartnell and the one that introduces the concept of regeneration. It is discovered that the Earth once had a twin planet, Mondas, that drifted away to the edge of space. Its inhabitants grew weak, so their scientists created spare parts for their bodies. Limbs and organs were slowly replaced by metal and plastic. Emotions were removed. The Cybermen were born. The TARDIS lands at the Snowcap space tracking station in Antarctica. A routine space mission starts going wrong. 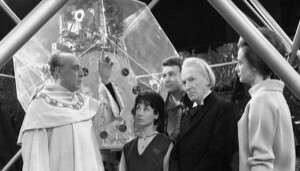 When the base personnel’s suspicions are roused, the Doctor informs them that the space capsule is being affected by the gravitational pull of another planet–a tenth planet in the Solar system. Thus, Cybermen arrive, and they are intent on the destruction of the Earth and the conversion of all humans into Cybermen. The Doctor, Ben, and Polly fight to save the world, but when it is done, the Doctor collapses, and the TARDIS wheezes into life.